This handy book offers a clever new take on the timeless tradition of stitch dictionaries. This compilation doesn’t just offer new stitch patterns, it’s designed to show you how to use them to create a cowl that suits your personal style. 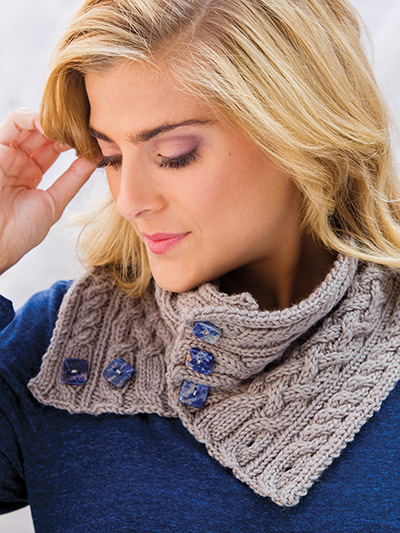 Each design will inspire you for years to come and expand your knitting repertoire! 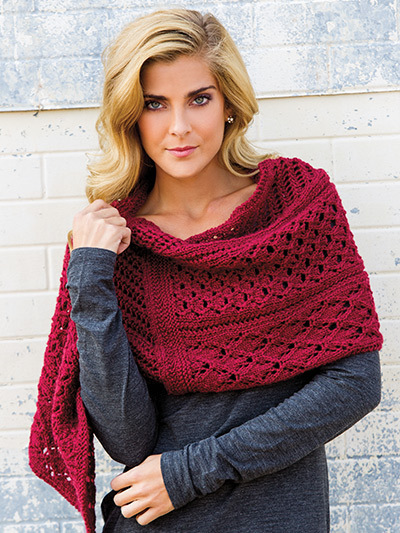 There are 6 cowls to stitch along with 50 stitch patterns to give you unlimited options. 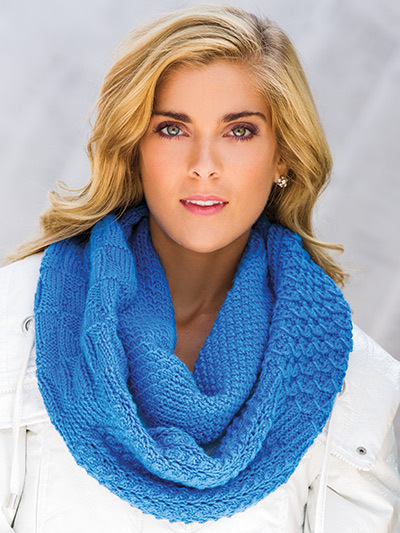 You can even mix-and-match stitch patterns to create your own, customized and unique cowl. You'll never make the same cowl twice with this ingenious book! 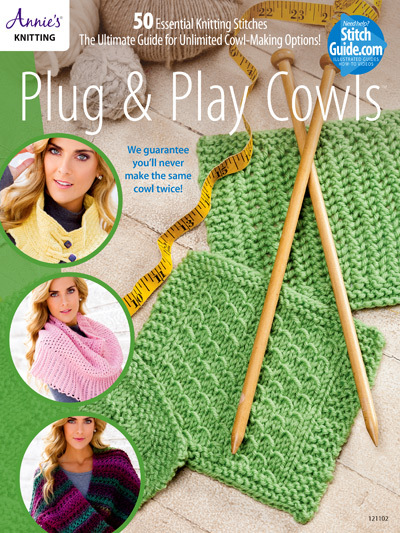 In this video, knitting Editor Kara Gott Warner takes you on a little journey through Plug & Play Cowls and explains why this is not your typical stitch dictionary. The 6 cowl patterns serve as the foundation to mix and match the 50 stitch patterns virtually any way you desire. This 64-page pattern book is spiral-bound, making it a durable resource workbook. If you're a shop owner, Plug & Play Cowls would be an excellent addition for your next workshop. The power is in your hands to create unlimited, customized cowls. We promise—you’ll never make the same cowl twice!